Pay for 2 months of tanning and get the 3rd month for FREE! Traveling on business ... or maybe a college student home for the holiday? We offer temp memberships. Inquire within. 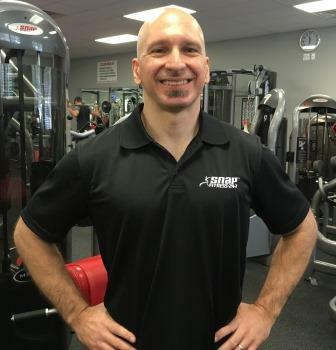 I am a Board Certified Nutrition Specialist and hold a Master’s Degree from the University of Pittsburgh and a Bachelor of Science Degree in Health and Physical Education from I.U.P. 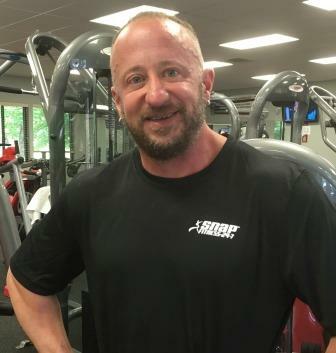 With 25 years involved in professional fitness, I am pleased to have seen many success stories, some include helping 10 different athletes win pro cards and compete in professional fitness competitions. I customize eating and training plans for my clients. I am proud to say I have had 12 different clients lose 100 lbs. non-surgically and have enabled numerous other success stories. As each client’s body changes, I change their eating and training which results in a constant state of progression. I am excited to meet you and develop a healthy livable plan for your success! “Be the best version of you!” Life is a journey, and during its course we encounter many versions of ourselves. I always had passion for weight lifting and fitness, but often times I found that work or other obligations got in the way of doing what I truly enjoyed. Then, I realized the best version of me was dedicating some time every day for exercise. I lost 25 lbs. and 3” off my waist, while gaining significant lean muscle mass. That inspired me to leave a 25 year business career and become a Personal Trainer. If you are ready to start down the path to finding the best version of you, I’d love to help you begin that journey! Buy 2 months of tanning upfront and get the 3rd month of tanning for FREE! Attention College Students home for the holiday ... stop by today for a temporary membership! Snap Fitness of Mars has everything you could ask for in a gym. Equipment galore, Fitness on Demand Classes, Myzone heartrate technology, Personal Trainers, Tanning, TRX, and most importantly - AWESOME members and staff! Not too big, not too small. You're always welcome at Snap Fitness! Our doors are open 24/7 to our members. Thank you for visiting our website. If you would like immediate access, please don't sign up online. Stop by and see us at your earliest convenience! Check us out on FB at Snap Fitness Mars and on Instagram! NOTE: this location does NOT have an annual fee like many gyms in the area.